Music is mishmash of influences, borrowing from various eras of music history, taking sounds we’ve heard many times before and creating something that feels entirely new. Most musicians pull influences from only a mere decades back, but there are few bands who dig further back into music history. 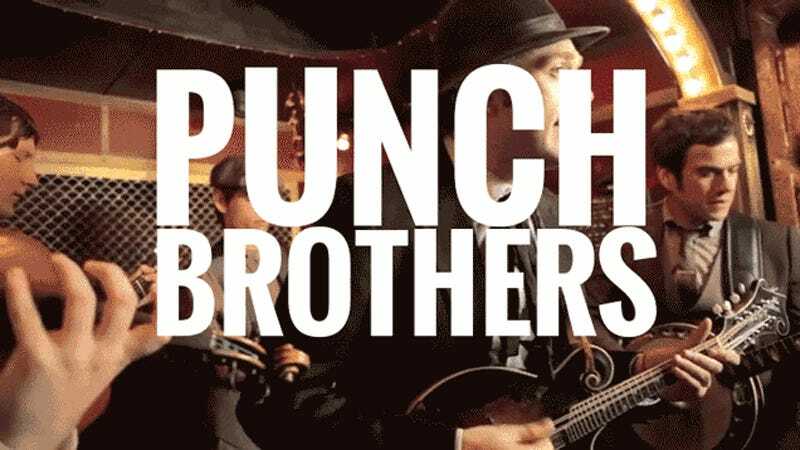 Punch Brothers is such a band. Bluegrass instrumentation with the vibe of classical chamber music. Similar to bands like Arcade Fire and Fleet Foxes, these five guys produce music that feels epic. Every song is a story, wrapping me up into a whirlwind of emotions and echoing vocals. The mandolins are played to perfection - a gentle plucking that transform these masterfully layered tracks into a moving journey. The Phosphorescent Blues is a riveting album, that shows the magic of infusing Americana with classical.